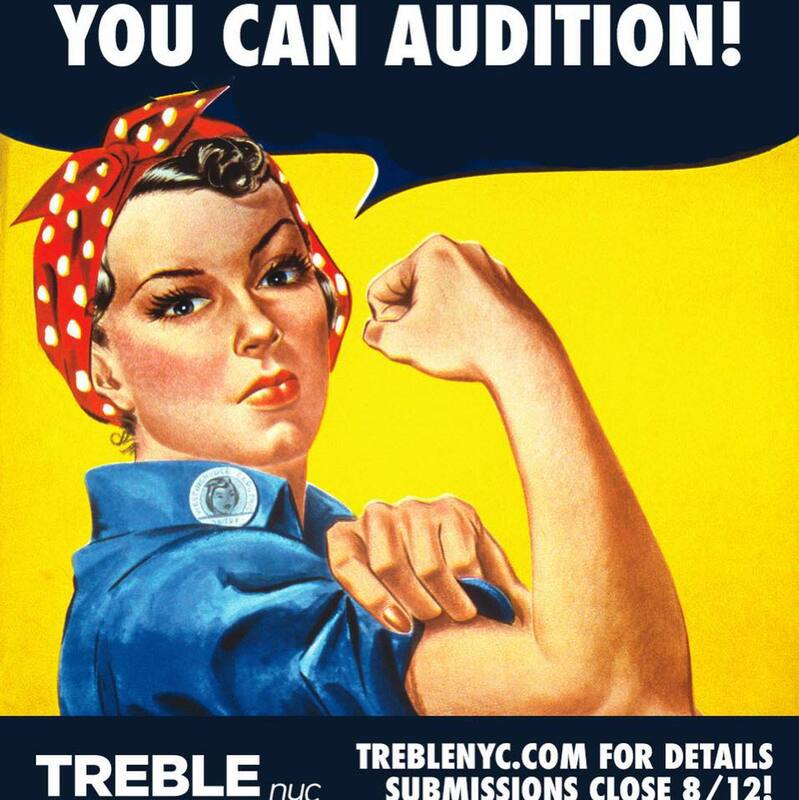 TREBLE NYC IS HOLDING AUDITIONS! TREBLENYC.COM FOR FULL INFO! Long before Pitch Perfect and The Sing Off, Treble stood at the forefront of the a cappella craze. Founded in 1996, the group boasts former members of some of the best collegiate groups in the nation and now proudly holds the title of New York City’s longest-running contemporary a cappella group. From Top 40 pop to R&B classics to good old-fashioned country, Treble’s unique vocal arrangements leave no tune unsung and guarantee a wide variety of audience favorites. With classic repertoire from Michael Jackson and Whitney Houston to the unexpected sounds of Florence and the Machine, Bastille, and The Killers, Treble has redefined the standard expectations of female a cappella. Treble has performed for The U.S. Open, C. Wonder, Bloomingdale’s, and has also appeared in television and film, including New Line Cinema’s 2016 hit movie “How to Be Single”, The Talk (CBS), Good Morning America (ABC) and more. Their live concert performances have taken them to some of the most iconic venues in New York City, including Joe’s Pub, Lincoln Center, The Guggenheim Museum, The Duplex, Canal Room, and The Ronald McDonald House. Treble is also proud to be affiliated with the Contemporary A Cappella League, Vocal Area Network, Recorded A Cappella Review Board, and NYC A Cappella.